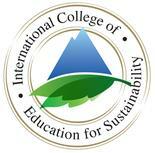 The International College of Environmental Sustainability (ICES) is one of Australia’s most esteemed educational institutions. Renowned for its course delivery material and teaching staff we remain at the cutting edge of the education industry. International College of Education for Sustainability and College of Education Services deliver nationally accredited programs from the Certificate level to Graduate Diploma in direct delivery as well as partnerships throughout Australia. Our founders have made countless achievements in worldwide education, delivering for large corporations, small and large businesses, and local government as well as full-time teaching and instruction. All International College of Environment & Sustainability teachers are qualified to teach under the requirements of the Australian Qualification Framework. Many have certifications in specific industries. Interested in forming a partnership with us? Contact us.